Slumping enrollment has educators scared. But should they be? You'd have to imagine that spirits were pretty high in America's various college enrollment offices during the 2000s. Those were good times for the admissions business. The Aughts capped off a 20-year period of remarkable and unprecedented growth in the higher education sector. Between 1990 and 2011, college enrollment spiked by an incredible 54 percent. This represented a rise in total student population from 12 million to 18.5 million. It also helped to drive massive hikes in tuition and a proliferation of new entrants in the marketplace. Those were good times for the admissions business. The Aughts capped off a 20-year period of remarkable and unprecedented growth in the higher education sector.You'd have to imagine that spirits were pretty high in America's various college enrollment offices during the 2000s. For most schools, meeting expected student quotas was hardly a challenge. Between 2011 and 2013, enrollment in America's colleges declined, by nearly one million students. These days, college enrollment officers truly have their work cut out for them. But what's behind the slump? Why, after decades of rapid ascent, are enrollment numbers suddenly in freefall? And is it actually sudden, or it something that we should have seen coming? Between 2011-13, enrollment in America's colleges dropped nearly one million students. Is the dramatic dip in enrollment a harbinger of the higher education apocalypse that many a critic has predicted? Is it simply a correction in a marketplace that has swelled to a girth too big for its ivy-tangled britches? Are our admission numbers staked to the ebb and flow of the economy? Are more would-be students simply running off with the traveling circus to juggle knives, swallow swords, and do other things for which you can't get a Stafford Loan? Well, whatever's behind it, its precipitous nature is cause for concern, or at least investigation. That's one possible explanation, anyway. Excessive cost inflation and a surge in under-qualified students coupled with a proliferation of disreputable institutions and predatory lending schemes has punctured the college bubble and now it's letting out hot air like a congressman on a drunken filibuster. But is that really what's happening? Sure, on the surface it seems a reasonable deduction. In the last decade, we have been increasingly prompted to question whether we're getting our money's worth, to ask whether or not college is a decent investment. This regressive trend may suggest that students are ever less convinced, in spite of the fact that many of the old truisms still apply. To wit, the earning potential for an individual with a bachelor's degree far exceeds that of one without. PBS NewsHour pegs the unemployment rate for Americans with bachelor's degrees at 3.2 percent, almost half the 6.1 percent national average. According to sources, the employment rate is almost 200% higher if you have a bachelors degree versus not having one. Of course, if you acquire your bachelor's degree the traditional way, you're going to need that job. Indeed, between the 1984--1985 academic year and present day, college tuition jumped at an average rate of 3.1 percent beyond inflation every single year. At the end of this 30-year cycle, tuition for the average nonprofit private four-year school is up 146 percent. Tuition for four-year public schools is up 225 percent. Perhaps this is why individuals who find themselves at the educational crossroads have increasingly opted out. PBS NewsHour says that during the 2012--2013 academic year—a duration in which overall college enrollment declined by roughly 463,000 students—a drop-off was seen across all income levels, with the largest losses tallied among middle class families. With the costs of college genuinely spiraling out of control, and student loan debt topping $1 trillion, we would be hard-pressed to dismiss the doomsayers offhand. By the numbers, the contraction of our college economy is happening at a startling pace. But is the day of reckoning really upon us? Do these facts suggest that, without intervention, the infrastructure of American higher education is in a stage of imminent crumbling? Well, maybe. But like a great many things in the world, it isn't all that simple. It could be convincingly argued that we were in fact bound for this type of regression, that after decades of steady growth—topped by a particularly intense crest of enrollment through the last decade—the college industry had reached its tipping point: too many colleges, too many students, too many degrees doddering around a saturated job-market looking for homes. As enrollment grew, so did student debt. Between 2006 and 2011, enrollment in America's colleges swelled by 3.2 million students. Swelling right alongside it was student debt, as well as the number of students who felt themselves unable, for one reason or another, to complete their college education. From this perspective, the decline in enrollment may be a good thing, or at the very least, a natural thing. If far too many candidates have attempted college in the last several decades, this reverse in growth is right on schedule. It should also not be overlooked that the number of 18 to 24-year-old Americans actually rose by 3 million between 2002 and 2012. This pattern clearly had a bearing on the enrollment boom of the time. By contrast, Inside Higher Ed projects a 4% decline among 18 to 24-year-olds between 2012 and 2022. The current trend also parallels historical patterns of behavior which suggest that peaks and valleys in college enrollment are inversely proportional to the health of the American economy. Declining enrollment could reflect #debt-avoidance. To this end, the National Student Clearinghouse Research Center reports that while college enrollment decreased 1.9 percent over the last year, the downward momentum was mostly driven by students over the age of 24. Clearinghouse says that this demographic accounted for an imposing 74 percent of the decline. Put another way, while community college enrollment ticked down by one-half of a percent for students under 24, enrollment among older students tumbled by six percent between 2013 and 2014.
Insider Higher Ed observes that prospective students over the age of 24 tend to factor immediate employment opportunities into their decision-making process, as opposed to high-school graduates with immediate designs on campus life. While the average high school graduate may view college as the imminent next step, those in their mid-20s will have a greater tendency to view the college campus as a safe harbor during a tempest of economic misfortune. Enrollment for ages 18-24 has been steady while ages 25 and older account for 74% of the decline. So, for instance, as the U.S. was plunged into the Great Recession across 2007 and 2008, college admission rates spiked. Today, the unemployment rate is well-contained, as is inflation. Banks are stable, the markets are robust, and it's been years since a linchpin corporation has collapsed under the weight of its own malfeasance. Of course, prognosticators can offer just as many arguments to suggest that the economic outlook is not so rosy in the immediate future. But for now, a viable job market is drawing prospective students out of the harbor. Those demographics who might have vacillated between the classroom and the cubicle during the last decade's recession are now firmly entrenched in the workplace. Many will also have been moved to their decision by the far lesser certainty that comes with the attainment of a college degree these days. Regardless of the socioeconomic end game, college costs beaucoup bucks. More prospective students than ever before are honestly weighing the pros and cons of this investment when given a suitable alternative in the job market. Add to this the fact that employers have complained for years about the current crop of underprepared, undereducated, and underwhelming college graduates. Perhaps a self-selected thinning of the herd is not the worst thing that can happen. One might consider the value that is added to the college degree as the least ideal college candidates instead opt for vocational training or employment. "More prospective students than ever are weighing the pros and cons of this investment when given a suitable alternative in the job market." Case in point, evidence suggests that many of those declining to undertake the college experience may have already been straddling the fence. Whereas enrollment in four-year colleges dropped by one percent, two-year schools saw a far more notable 10 percent fall. Where enrollment in a four-year school suggests interest in a lengthier and more costly commitment, community college is an attractive option to those testing the educational waters, waiting out a low tide in the job creation cycle, or studying part-time while maintaining employment. These patterns suggest that the job market is temporarily winning the tug of war with community colleges for the otherwise undecided. If indeed a correction has taken place, it is not solely an economic one. This correction is also somewhat evolutionary in nature. As the higher education sector has swelled in size, it has seen enormous transformation. From the inception of dramatic new technologies to the growing coffers commanded by the nation's most successful institutions of higher learning, the student experience and the public role of colleges are both in a state of flux. Consider, for instance, the for-profit college sector, which was rewarded for its lead role in proliferating online education with rapid expansion. It is certainly not a coincidence that its growth coincided with a more encompassing upward trend in college enrollment. Online programs have changed the face of education breathing new life into for-profit schools and reshaping student expectations. However, the for-profit industry's decline has been just as precipitous. According to U.S. News & World Report, during the stretch between the spring semesters of 2014 and 2015, four-year for-profit institutions shrank at a rate of 4.9 percent. The rate was 7.4 percent just between the fall and spring semesters of this year. The recent closure of crooked multi-campus education companies like Corinthian College certainly helped the for-profit college industry to top all other sectors in enrollment losses this year. Still, this trend may not entirely be a referendum on for-profit college. Instead, a case may be made that the market has simply shifted. For-profit colleges did pave the way for the mainstreaming of online education. That for-profits like Corinthian squandered the public's trust has only helped non-profit public and private universities alike to make successful forays into online education. 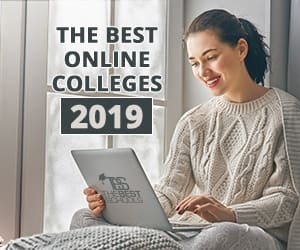 Greater competition has genuinely impacted the bottom line among for-profit schools, as regionally accredited universities ascend within the online market. For instance, says Inside Higher Ed, private nonprofit Southern New Hampshire University projects an online enrollment of 36,000 students this year, a remarkable 100 percent increase over the last two years. This denotes that enrollment gains are still feasible for universities that succeed in balancing and serving shifts in student expectations. Well, it is if you aren't affiliated with one of the countless tiny college communities that simply can't survive the correction. As they say, if you want to make an omelet, you have to break a few eggs. Sadly, some of these are wonderful little Fabergé eggs the likes of which we cannot replicate. Take Sweet Briar College, for instance. The Washington Post says the school was being forced to shutter its doors after 100 years of operation this August, when critical enrollment shortages financially crippled the small women's college. Later sources report that restructuring and legal action have kept the doors open at least for a little while. Sweet Briar was hardly alone in its struggle. The Washington Post identifies other reputable private, non-profit colleges that have folded over the last year in just the D.C. region, including the Virginia Intermont College, the National Labor College, and the Corcoran College of Art & Design, the last of which was assimilated into George Washington University. Other colleges in the region are facing some pretty difficult decisions in their immediate future, with some experiencing enrollment declines as sharp as 35 percent over just the last year. Smaller campuses have been hit the hardest. At 2.4% decline a school of 1,300 students is losing $1,000,000 yearly. The Daily Caller warns that the enrollment decline is having a destructive ripple effect on the nation's smaller campuses. Over the last year, schools with a starting enrollment of under 3,000 have ceded roughly 2.4 percent of their collective population, a trend which makes it difficult or impossible to adjust to shifting student needs and expectations. What cannot be denied, even in the midst of economic recovery and natural correction, is the loss of any number of long-vibrant educational communities. Doom and Gloom or the Price of Progress? These trends may not dramatically differentiate our time from any other. Colleges do come and go, particularly those of smaller stature. Perhaps the greater concern is what their fate might imply about the broader system of American higher education. In a report called Projections of Education Statistics to 2022, the U.S. Department of Education suggests that we are not likely to come anywhere near recovering our previously torrid pace of growth. After growing at a rate of roughly 45 percent between 1997 and 2011, America's student population is projected to grow by only 13.9 percent over the coming decade. This projection denotes that general college enrollment numbers are not in line for a spectacular recovery. Still, there is plenty of hope for those colleges that best navigate changes in the student population, the higher education marketplace, and the larger economy. Just as tuition rates skyrocketed alongside growth in the student population, enrollment projections over the next decade practically beg for a contraction in the cost of colleges. The future should be bright for those colleges willing to get competitive about pricing. Especially in the private nonprofit sector, those who respond to popular disenchantment over tuition rates will find ways to protect their slice of a contracting market. The same is true for those universities that widen their focus from recruitment and enrollment to retention. The old business adage applies. It is cheaper to keep an existing customer than to court a new one. Colleges and universities that provide their students with meaningful academic, administrative, financial, and campus-life support can offset enrollment losses by improving student outcomes and reducing dropout or transfer rates. Colleges that diversify student opportunities are also likely to enjoy some measure of stability, or even growth, as demonstrated by the above-mentioned Southern New Hampshire University. The U.S. Department of Education predicts that the population of part-time students will increase at a faster clip than that of full-time students over the next decade. This means that schools offering a greater range of part-time, online, or mixed degree programs could be the greatest beneficiaries of a slow-paced recovery. In the meantime, America's ongoing enrollment slump places the onus on every college to ensure that its students are getting their money's worth in terms of quality, support, and service. The most powerful weapon that we have against this pattern of contraction is the impression that college is actually worth the investment.